Ezreal is a super strong champion that NA teams have no clue how to use. Ezreal is in a good spot right now. The shifty ADC has survived through the years due to his combination of a safe laning phase with ridiculous late game power. Those assets have helped him survive the carnage that went on in the bot lane this split, where several champions saw their stats and win rates gutted. Globally, through mid-August, Ezreal’s presence—the combined pick and ban rate—in professional play is a strong 44 percent, according to League stats site Games of Legends. And it’s even higher lately—he’s been in the top three in bot lane presence in both of the last patches. He’s obviously pretty strong as evidenced by his 45 percent win rate. Wait, that’s not right. 45 percent is less than half. Why would a losing champion be so popular? If you dig into his numbers, it’s easy to see the reason. His win rate is highest in the LCK at nearly 54 percent. He hovers around 50 percent in both the EU LCS and LPL. But the holdup is NA. Ezreal’s win-rate in that region is under 24 percent. That’s a two followed by a four. As in, if you had a 24 percent win rate, you would be Bronze 6 before the week was out. So what’s the deal with NA? To figure that out, you first have to understand Ezreal’s strengths. He has extremely high late-game DPS. That’s why he’s among the highest damage bot lane champions in every region, averaging 644/664/687 DPM in the EU LCS, LCK, and LPL, respectively. But in NA? His DPM is only 581 this split. He’s still the same champion no matter who’s playing him, so it must be that NA teams are playing him wrong. 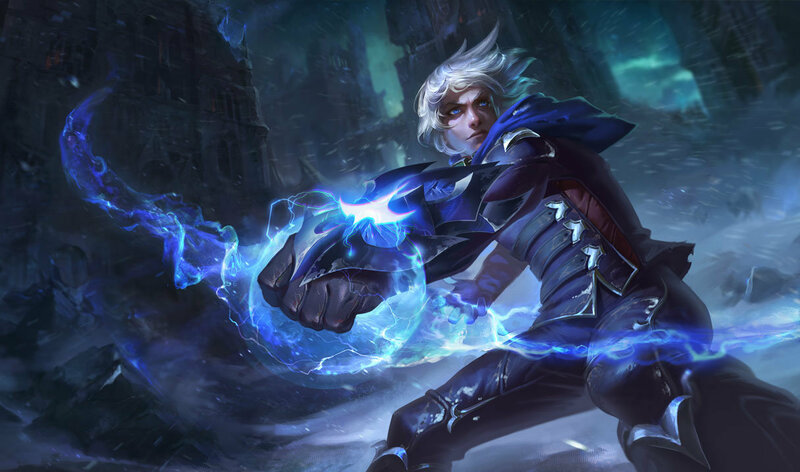 Ezreal is best at long, drawn-out objective fights where he can sit safely on the outside and throw out Qs and basic attacks while staying safe with his E. And when the right moment presents itself, he can shift forward onto a target and delete them with a barrage of spells. But that takes coordination to pull off—NA teams would rather just pile into a fight all at once and get it over with. Sometimes teams will fight before Ezreal hits his power spike. Many times teams fight too quickly, going all-in and leaving the Ezreal on the outside, wondering why all of his teammates disappeared. Those are some of the reasons why he does so little damage in this region. The contrast becomes more clear when you compare Ezreal to Lucian, who’s great at jumping in and blowing all of his cooldowns at once. Lucian fits NA’s style perfectly, and boasts a 66 percent win rate as a result. It really is a story of two ADCs, one who pokes patiently, and another who goes all-in. If your favorite NA LCS team locks in Ezreal, you should probably cheer for them to stall and play around Ezreal’s late-game damage. But it probably won’t matter because they’re probably heading for a loss anyway.